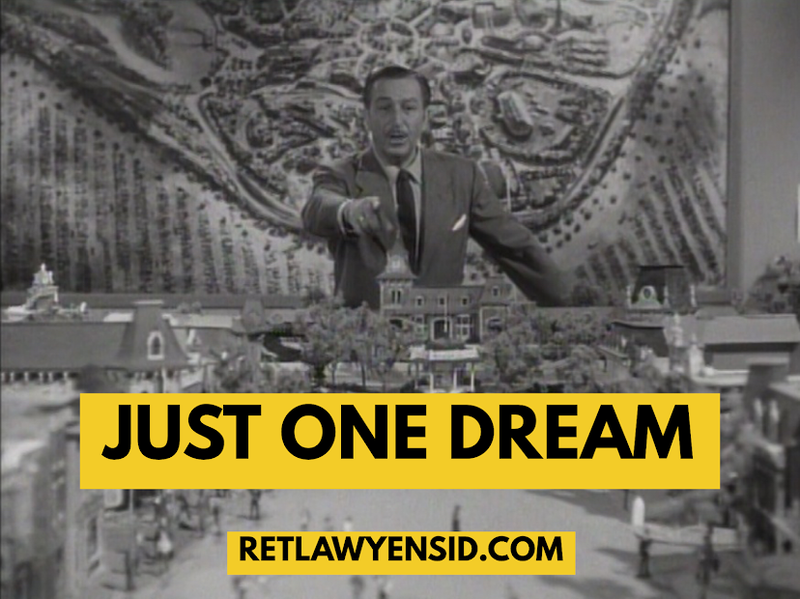 Just One Dream: RetlawYensid.Com: Happy Birthday, Walt Disney! I have always been a huge fan of Walt Disney, even before I knew that I was one. Mickey Mouse was one of my first friends and I can’t remember a time when I didn’t know of him or anything Disney. I still have fond memories of going to Disney films as a child; I remember the first time I saw Cinderella and my all time favorite film Pinocchio. Walt Disney’s creations have always been a part of my life even before I knew who he was. I still recall my first visit to his Magic Kingdom; as I entered the park through the right side tunnel with my parents and sister, I remember being in awe with this magical place. We stuck to the sidewalk and I still remember the moment we rounded the corner past the Disney Showcase and I got my first glimpse of Sleeping Beauty Castle. I instantly fell in love with DISNEYLAND. It was like one of my dreams had come to life and I could actually walk around it. This was where my Disney friends lived and where dreams could come true. As a curious child, I wondered about who had built this place and why he did it. My parents bought a pictorial souvenir book for me that contained some of the answers. I recall looking at the pictures and reading the text over and over again to learn all that I could about DISNEYLAND and the man who built it. I gained a huge admiration for Mr. Disney and his many achievements and eventually got a larger book about his life to read. Imagine my surprise and delight upon learning that one of my heroes- Mr. Disney- was born on December 5th, 1901. I too was born on December 5th, though many years later, of course. I considered it to be an honor to share my special day with such a special person. Since that time, I have learned so many things about Mr. Disney that I found inspiring. When first he arrived in California, he had just $40 and a suitcase full of dreams. The studio he founded would grow exponentially over the years and is currently worth over $70 Billion. Several of his groundbreaking achievements were originally derided as “Disney’s Folly”- the first one being Snow White and the Seven Dwarfs, which naysayers insisted would fail and be forgotten. The second one was DISNEYLAND, which was predicted to go bankrupt six months after it was opened. Snow White and the Seven Dwarfs was a massive success, still watched and loved by generations of children. And nearly 65 years later DISNEYLAND is still going strong. Mr. Disney continues to be a huge inspiration to me years after his passing. Despite the fact that many people considered his ideas foolish and sure to fail, he persevered and made his dreams come true. I was especially honored when I discovered that I had been quoted in a book about Mr. Disney. It was even more exciting when I found the book for sale in DISNEYLAND, just steps away from the very spot where I fell in love with DISNEYLAND as a child. Happy Birthday, Mr. Disney- and thank you. Your work and legacy has endured long after the naysayers have been forgotten. Generations of children still enjoy your creations and you truly made the world a better place.